Revolutionary War map entitled ''Chart of the Harbour of Boston'', published in London circa 5 August 1775, at the very beginning of the War. 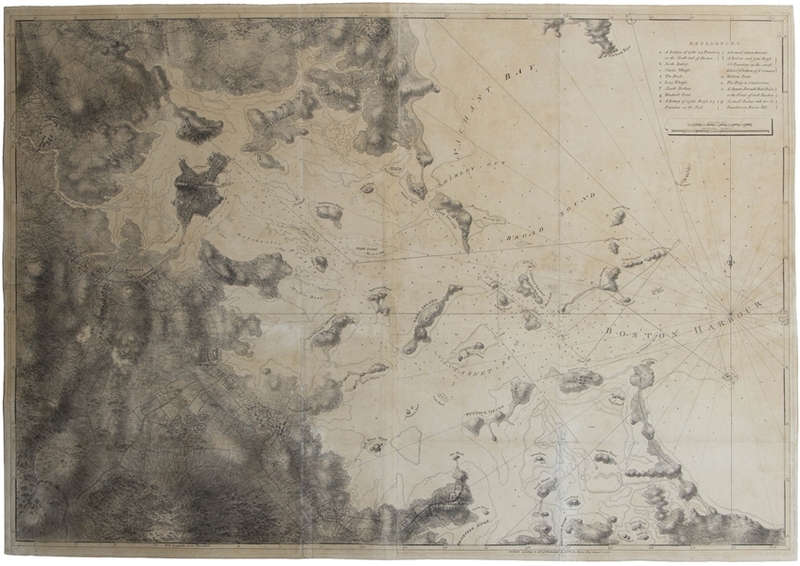 Large map measuring 42'' x 29.5'' shows Boston as it was before defenses were constructed by the Americans during the Siege that begin in April 1775. Created by master cartographer Joseph F.W. DesBarrres, map was based on a survey done in 1769 by ship's captain George Callendar, and is considered one of the most important Revolutionary War era maps of Boston Harbor, showing the small islands within, the Charles and Braintree Rivers, and the inland areas of Roxbury, Dorchester and Charlestown. Copper-plate engraving measures 42'' x 29.5'', printed on two sheets joined vertically at center. 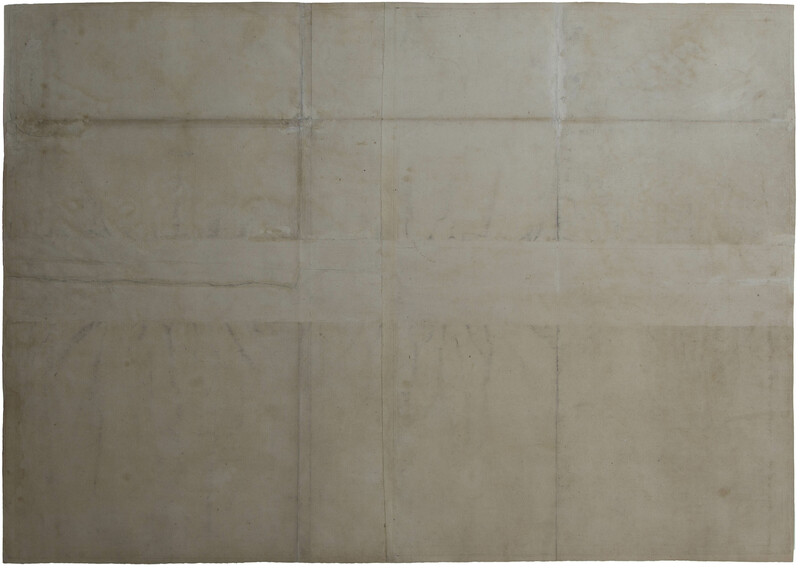 Professional restoration includes small portions of infill and later backing removed. Overall in very good condition.